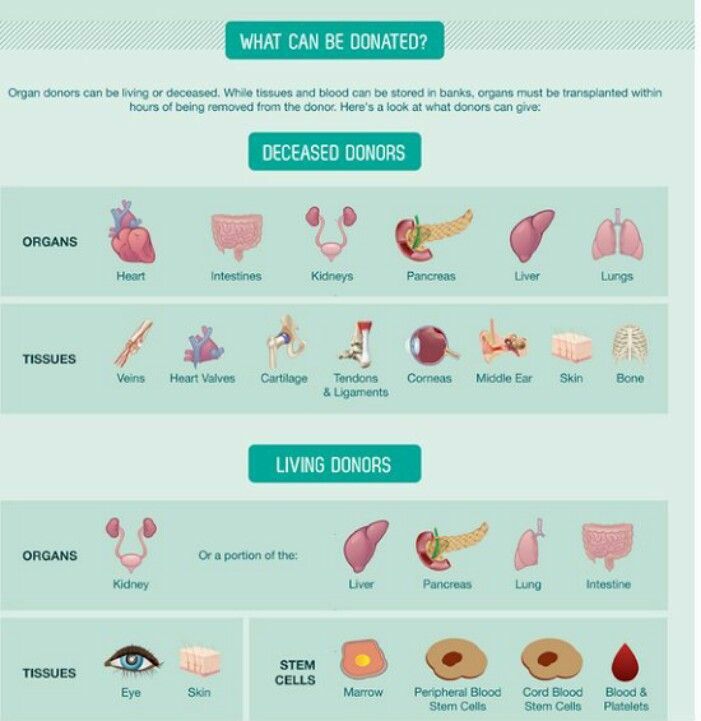 Organ donation is the process of surgically removing an organ or tissue from one person (the organ donor) and placing it into another person (the recipient).Transplantation is necessary because the recipient's organ has failed or has been damaged by disease or injury. 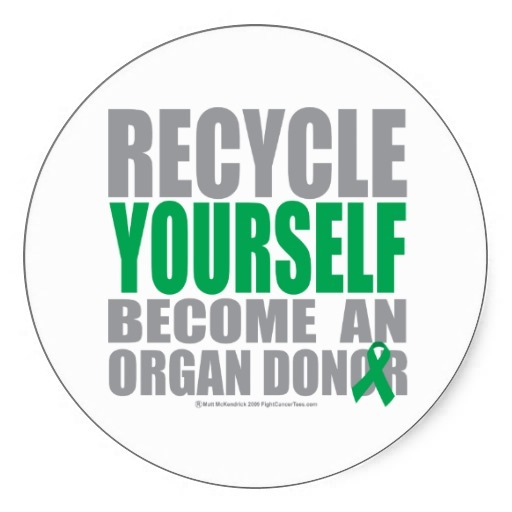 In the United States there is a large shortage of organ donors. Individuals on the organ transplant list can be waiting for quite some time. Normally the wait is between several months to years. Many on the list may die waiting for an organ to be donated. By signing up for organ donating you , your family and friends can help save lives. There will be an average of 20 individuals that will pass away waiting for an organ. there are more than 115,000 individuals waiting for an organ. Kidney: 95,353 people. Liver: 13,876 people. Heart: 4,004 people. Lung: 1,395 people. Pancreas: 897 people. Most common transplant in United States is the cornea. Each year there are more than 40,000 cornea transplants every year. Registering is easy. When you apply for or renew your driver's license you can simply sign up for organ donation. Sign up online at your state's organ donor registry is another great way to register. Share this information with friends and family so they too can register if they wish. suffrage movement that would help pave way for future women. The 19th amendment of the constitution passed in 1920 that gave women the right to vote. Susan B Anthony died on March 13, 1906. Women still had not been given the right to vote. It would be another 14 years before the 19th amendment to the U.S. constitution would give adult women the chance to vote. In 1979 the U.S. Treasury department put Anthony's portrait on one dollar coins. Gumdrops are normally fruit or spice flavored pieces of gelatin like candy that have been sugar coated. While normally conical in shape this is not always the case. Other shapes have included but are not limited to orange slices, licorice babies, spearmint leaves and animals. Top choice flavors of gumdrops include cherry, grape, orange, lemon and spice flavors like cloves, cinnamon, mint and anise or licorice. Percy Trusdale has been credited with inventing the gumdrop in 1801. The first gumdrops would most likely have been flavored with spices. Orange --- clove, Yellow---- allspice, Red---- cinnamon, Green---- spearmint, Purple----- anise, White---- wintergreen or peppermint and Black ---- licorice. • Grease a 9″x9″x2″ baking pan. • Sift together flour and salt. • Fold the chopped gumdrops and chopped almonds into the flour mixture, set aside. • In a mixing bowl, beat eggs until foamy. • Beat in sugar and vanilla. • Remove bowl from mixer, and add the flour mixture to egg mixture, blending together by hand. • Spoon batter into your greased baking pan, spreading evenly. • Bake in a preheated 325°oven for 30 to 35 minutes. • Note: you will see a slight cracking at the top, but the inside will still be moist when baked. • Remove from oven and allow cookie bars to cool for 10-15 minutes in the pan, on a wire rack. 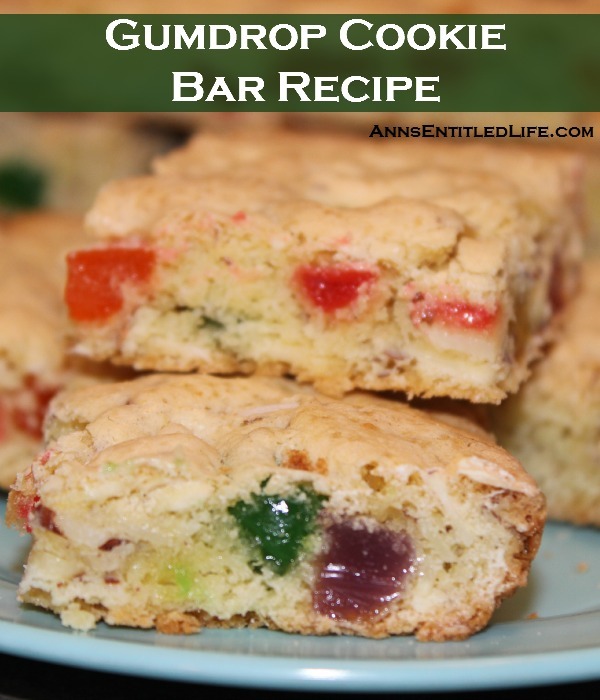 • Cut the gumdrop cookies into squares inside your pan while still warm. • Allow gumdrop cookies to cool completely in the pan before removing. Ash Wednesday is the first day of Lent. The official name of this day is "Day of Ashes". The name comes from the practice of rubbing ashes on one's forehead in the sign of a cross. Ash Wednesday occurs 30 days (excluding Sundays) before Easter Sunday. Ash Wednesday does not commence Lent and is not recognized by the Eastern Orthodox Church but rather consider the first day of lent to be "Clean Monday". The bible speaks of people in the Old Testament using dust and ashes as symbols of repentance and or mourning. (Job 2:8). The name of Ash Wednesday came from a practice of blessing ashes made from palm branches blessed on previous years Palm Sunday. The ashes are placed on heads of participants. The words "Repent and believe in the Gospel" or "Remember that you are dust, and to dust you shall return"
W.E. Sullivan owned the Eli Bridge Company. In 1893 he visited the Colombian Exposition where he saw the original Ferris Wheel. Sullivan found himself very interested in the ferris wheel and wanted to build one of his own. The "Big Eli" Wheel would debut in Jacksonville Illinois May 23, 1900. The wheel still stands proud and operates so all can ride at the community park during summer and autumn months. 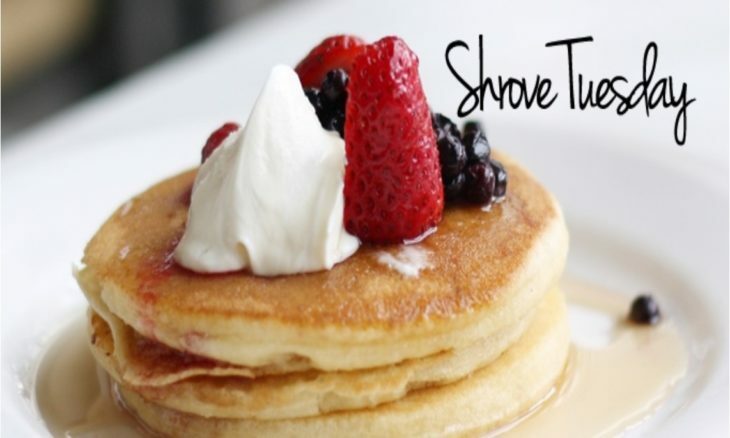 Shrove Tuesday always takes place the day before Ash Wednesday. In 2018 that day occurs on February 13th. It is also the day before the fasting period of Lent. "Shrove" is the past tense of "Shrive" which when defined means "presenting oneself to a priest for confession, penance, and absolution. Christians will traditionally prepare their selves for lent by confessing their sins. Pancakes are enjoyed in a variety of ways around the world. Perhaps you enjoy yours with lemon and sugar, a french style of pancakes with chocolate spread and banana or like many Americans enjoy theirs with maple syrup and a side of bacon. No matter how you eat them the recipe of pancakes is primarily the same using eggs, flour and milk. The main 4 ingredients in pancakes have meaning as well. Each of the ingredients represents one of four pillars of faith. Eggs for creation, flour for staff of life, salt for wholesomeness and milk for purity. Tortellini is a pasta dish that comes from the Italian region of Bologna. Ravioli, tortellini, and tortellacci are all members of the stuffed pasta family. Tortellini are ham, white meat, and Parmesan cheese. One organization in thee city of Bologna has its members wear red and gold hats shaped like tortellini. Ribbons that have gold shaped tortellini hanging on it are also wore around necks of members. The goal of the members is to preserve traditional tortellini. Tortellini can be prepared topped with cheese sauce, cream sauce, pesto or tomato sauce. 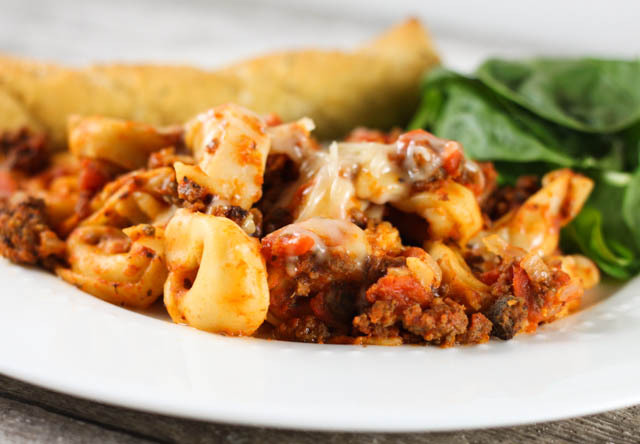 There are a variety of great tortellini recipes. The recipe we share today can be prepared in slow cooker and save time. Brown the hamburger over medium heat in a medium size skillet.. Add the onion, garlic and tomatoes and simmer for 5 minutes. Add the spaghetti sauce, Italian seasoning, salt and pepper and let simmer another 5 minutes. Place 1 cup of sauce on the bottom of 5 to 6 qt. slow cooker. Add half of the frozen tortellini, half the remainder of sauce and then repeat. Sprinkle with cheese. Cook on low 4 hours or until tortellini is tender. Fat Tuesday has also been known as Mardi Gras day or Shrove Day. It occurs the day before Ash Wednesday. It is a large party themed day where every one eats all they want , as much as they want and whatever they want. It is the day before the big fast of Ash Wednesday begins. Bourbon Street New Orleans is one place where Mardi Gras and Fat Tuesday has left a bit of fame. Large parades and tons of food and drink. Food including shrimp po boys, crawfish, wings, red beans and rice, alligator gumbo, catfish chips, hush puppies, hurricanes, and king cake. One traditional way to celebrate New Orleans is wearing and giving beads to each other. 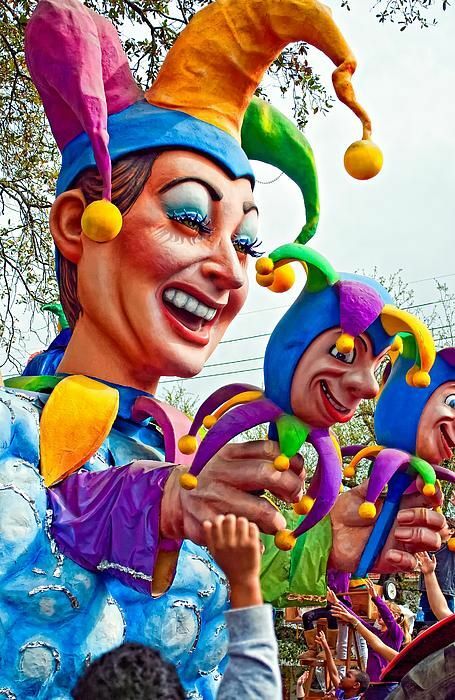 The time before the large celebration of Fat Tuesday has been a period of Carnival. Mardi Gras which is French for Fat Tuesday dates back to ancient Roman festival honoring the deities Lupercalia and Saturnalia. Christians brought the festival into Lenten preparations when they arrived in Rome. The time period in the early years Fat Tuesday was a solemn feast that celebrated period of time before Lent and help use up valuable meat and supplies that they would stay away from during future days. The United Kingdom celebrates the day as Pancake Day. Future days will see those that take part staying way from fats, eggs, and sweets. So pancakes are perfect for Fat Tuesday or Shrove Tuesday. Russia celebrates not only for a day but a whole week to make up shrovetide or pancake week. The French did not originate the medieval feast but they have been given credit for it. Parades, beignets, colorful masks, costumes, and food. The 16th century the celebration was of the fatted calf The feast is a mix up of medieval spring festivals and feasts that are present on the Christian calendar. All you need to do is pop a bag of popcorn and let it cool. But the popcorn in a large bowl. but you can adjust this as you like. add about a cup of M&M’s and stir everything together. and then eat or package as desired.